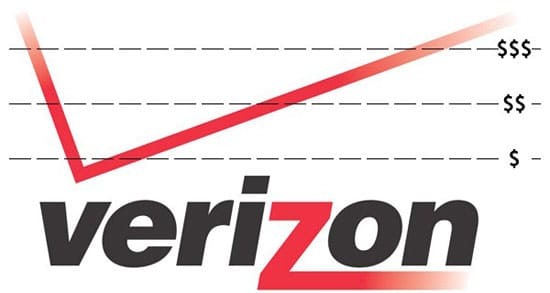 Since Verizon has the best network across the nation, coverage wise, we all got very happy when the carrier announced that they will finally start offering an unlimited data plan at the beginning of this year (2017). The initial unlimited data offered back in February was plain and simple: you’d get unlimited data for $80, which included 720p HD video streaming and 10GB of 4G LTE Mobile Hotspot. Since then, Verizon has horrendously messed up their unlimited plan by introducing a total of four different unlimited plans, each worse than the original unlimited data plan. The original unlimited data plan released back January was replaced by a new plan for a higher price.This plan is now called the beyond unlimited and cost $85/month. Along that, Verizon also has a cheaper plan named Go Unlimited, this plan goes for $75/month. For $15 than the beyond unlimited plan, your videos will be streamed at 480p only. Another problem with this plan is that, unlike Beyond Unlimited which deprioritizes your data usage after 22GB, this plan starts deprioritizing your data as soon as you start using it. So basically, since Verizon has a huge amount of customers everywhere across the country, your data will most likely be deprioritized every time you use it, unless you’re using it at 3-9 AM when everyone is asleep. In times of congestion, your data may be temporarily slower than other traffic. Another way this plan is ripoff is due to the lack of mobile hotspot. Back with the original unlimited data plan from February, the carrier offered 15GB of personal hotspot at no throttle speeds. Now we can accurately say that they don’t even offer that option. With the new beyond unlimited plan, they only offer hotspot throttled to 600kbps. 600kbps is so slow that we can even say that Verizon is offering just for the sake of marketing this plan as it truly offered the option.